The entrepreneurial and innovative DNA of ANANTA has always driven us to seek and create valuable and mutually beneficial partnerships. These strategic partnerships have forged new discoveries for us and our partners. Our relentless pursuit of operational excellence and our proven track record in the global apparel arena has given us the opportunity to build strong relationships with other industry leaders. Our relationships, above all, are based on mutual understanding, trust and steadfast business ethics. Brandot International Limited is an investment company specializing in joint venture partnerships in the apparel and textile industry. We invest in private companies that show outstanding potential and sustainable long-term competitive advantage. As an organization with extensive apparel and textile industry experience, Brandot's competitive advantage rests in our ability to offer unique perspectives that add value to our joint venture companies. 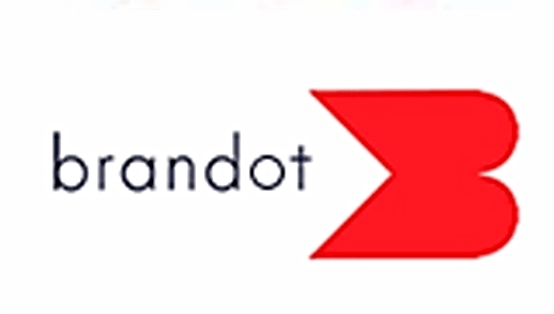 Brandot was founded in 2001 by Martin Trust, an entrepreneur with over 50 years of apparel and textile industry experience. Time International Trading S.R.L has been operating in the Romanian market for over 15 years as an established, reputed formal suits manufacturer primarily catering to the EU market. It is a family owned business with over 1,000 workforce across 3 factories in Alexandria and Bucharest, Romania and a vast international market penetration. Founded in 1991 by Ms. Pinghua Mao, Shanghai Huaxiang Group is one of the most respected sweater manufacturers in China with production of over 6 million units and sales of over $60 million annually, Huaxiang customers include leading brands and retailers, Ann Taylor Loft, Victoria's Secret, H&M as well as higher-end brands Escada, Burberry and Chloe. Known for their high quality and service, Shanghai Huaxiang Group has earned several awards and recognition including "one of the best suppliers" from Mast Industries Inc. in 2009 and "one of the best women leader of Enterprises in Shanghai" in 2011. Shanghai Huaxiang is a Gold rated supplier to H&M. The Frontier Fund is a registered investment fund focusing on investing in listed securities as well as the securities of privately-held companies in Bangladesh. The Fund's target sectors include pharmaceuticals, auto and ancillaries, healthcare, education, financial services, retail and distribution, telecommunications and consumer goods. Strong goodwill and established business relationships with leading local and international banks such as Standard Chartered Bank Plc., Prime Bank Ltd., Eastern Bank Ltd and BRAC Bank Ltd.